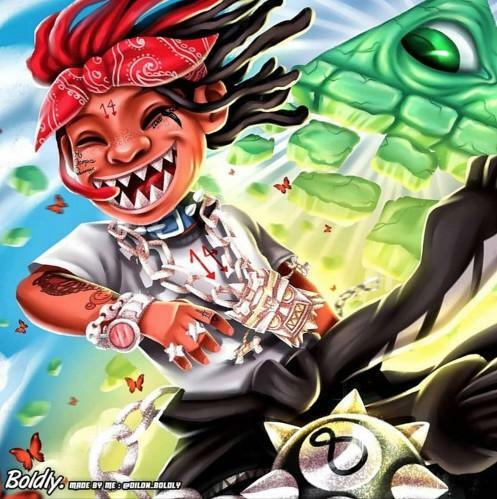 Trippie Redd & YoungBoy Never Broke Again Flow Smoothly On "Move Move"
Home>New Songs>Trippie Redd Songs> Trippie Redd & YoungBoy Never Broke Again Flow Smoothly On "Move Move"
Trippie Redd collaborates with NBA YoungBoy on one of two new songs. This is definitely a pleasant surprise. Trippie Redd is coming off the release of his debut album Life's A Trip, which proved the artist can be concise and versatile all in one. It was initially rumored to include over 20 songs but Trippie ended up cutting a decent chunk of songs to sign off on a 14-song tracklist. The artist has seemingly been going through some hard times, posting a few increasingly emotional messages to his Instagram story but much like he says in this new track, he's gotta keep getting to it. ItsNotHarold, a producer that has worked with Trippie in the past, shared two brand new songs on his SoundCloud page. One of which is the YoungBoy Never Broke Again-featured "Move Move." Produced by Cash Money AP, the song is one of a duo that will act as decent holdovers until A Love Letter To You 3 is released. Big 14 keeps on experimenting with his flows, continuing to improve with each offering he's dropped this year. Life's A Trip was not a hit with everybody as people are well aware of Trippie's potential, believing he can reach even larger heights than he already has. It will be interesting to see how the reaction differs when his forthcoming project is released. How are you liking the new collaboration with NBA YoungBoy? Trippie Redd Hops On A Zaytoven Beat On "Nelly"
SONGS Trippie Redd & YoungBoy Never Broke Again Flow Smoothly On "Move Move"